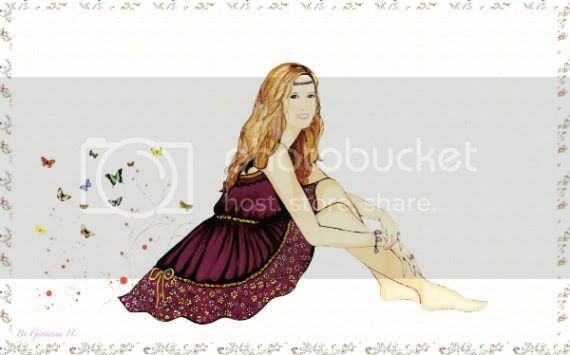 BOHO MARKET: Friday's Inspiration: Boho Girl Illustration for Kelly!! Friday's Inspiration: Boho Girl Illustration for Kelly!! I met Kelly through the wondeful blog world and we immediately became friends! I'm a huge fan of her amazing talent. 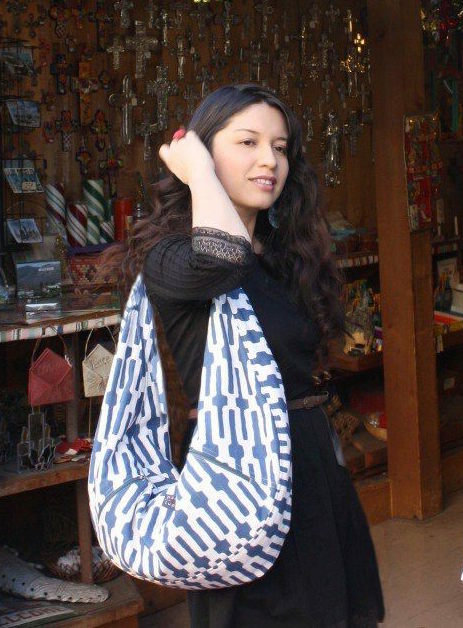 Her creations are wonderful and unique. Just visit her Etsy shop: Kellyberkeydesigns.etsy.com to see her lovely pieces. Kelly also has a lovely blog name Kelly Berkey designs where she shares her talent and inspirational posts. Few days ago, the lovely Kelly commissioned me for an illustration which is my interpretation of her beauty into a fashion sketch. I also had the pleasure to design the dress she's wearing on the illustration. I was very inspired by her wonderful style and bohemian look. I'm so so happy Kelly commissioned me to do her illustration. I heart Kelly, she's one of a kind and the sweetest girl! Thank you Kelly for the inspiration and love! Kelly made a post about this illustration, including her photo shoot, if you want to see more about it just visit her lovely blog: Kelly Berkey designs. I'm also very happy to announce that I'll be hosting a giveaway very soon Yay! Kelly will be giving away two of her lovely necklace (Boho girl & I carry your heart in mine) isn't she wonderful? Hope you're all having a lovely time!! Conocí a kelly a través de este maravilloso mundo del blog e inmediatamente nos hicimos amigas! Me declaro fan de su maravilloso talento. Sus creaciones son simplemente maravillosas y únicas, las pueden apreciar en Etsy: Kellyberkeydesigns.etsy.com Hace unos dias Kelly me encargo una ilustración, la cual viene a ser mi interpretación de su belleza reflejada en un fashion sketch. También tuve el placer de diseñar el vestido que lleva puesta en la ilustración. Me inspiré mucho en su lindo estilo y su look bohemio. La verdad me siento super feliz de que Kelly me encargara hacer esta ilustración. Kelly es muy querida por mi, es una chica super dulce y única. Mil gracias Kelly por la inspiración y el cariño! Espero que estén pasando días maravillosos! Absolutely stunning! Talent obviously flocks to talent. Have a wonderfully Merry Christmas, my friend. I have enjoyed visiting with you this past year and look forward to the coming year of ideas, beauty and creativity. Hi my darling! Thank you for the beautiful words! This has been so much fun and I'm so excited to be as good as you in my art and make people feel special and beautiful like you do! I'm honored to call you my friend Giovanna. Cheryl Lynn's comment "Talent flocks to talent" was so sweet. happy holidays dear! thank you for bringing beauty to the blogosphere. This is so beautiful Giovanna, I adore your drawings and I'm looking forward to mine! beautiful illustration!!!! Kelly is so talented...i love her pieces and was fortunate enough to get one of them!! and you my dear...endless talent!!! I love your illustrations! You have such a sweet and beautiful style. what a lovely drawing, you are so talented! I love the slideshow with your works! how do you colour them? How lovely and whimsical! I love all the floaty butterflies. I saw it over on her blog. It is SO so lovely!!! Hola Giovanna, sí que te quedaron preciosas las ilustraciones, me pasé por el blog de Kelly y considero que si lograste captar su esencia. ¡¡Qué bonita es la ilustración!! Me encanta lo bien que dibujas. I love your illustrations! This one is great! Just love it. Brilliant blog, I hadn't noticed bohomarket.blogspot.com previously in my searches! This is a message for the webmaster/admin here at bohomarket.blogspot.com. May I use part of the information from this blog post right above if I give a backlink back to this website? I just now joined up with bohomarket.blogspot.com. I'm expecting to check around a bit and make contact with fascinating men and women and discover a couple of alternate viewpoints. I really hope this message isn't in the wrong category. I am sorry if it does.